FINALLY REVEALED: Discover The Exact Step-By-Step System To Driving Unlimited Amounts of Targeted Traffic Using Social Media Marketing... and Start Generating Profits!" In just minutes from now, you can be well on your way to uncovering the secrets to pulling in huge amounts of traffic using Social Media Sites! *** Over The Shoulder Training. 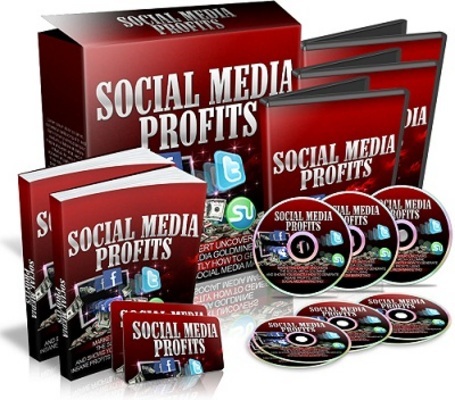 The 'Social Media Profits' Video Course will show you exactly how to make money using the power of social media. *** Just follow the simple step-by-step process and strategies outlined in the course and you will begin to succeed and profit! *** Low Cost / No Cost. Each of the strategies revealed in the Social Media Profits require very little or no cost to do. That means that if you don't already have the tools needed, I will show you where to get them for the best price! *** Techie Free Implementation. There are tons of courses and eBooks out there that do nothing but confuse the heck out of you and make social media marketing seem difficult. This course is so easy to follow that someone completely new to internet marketing could do it! You have our guarantee that the 'Social Media Profits' Video Course is as POWERFUL as we say it is. Social Media Profits - Mrr!